double dial clock as the “Lewis No. 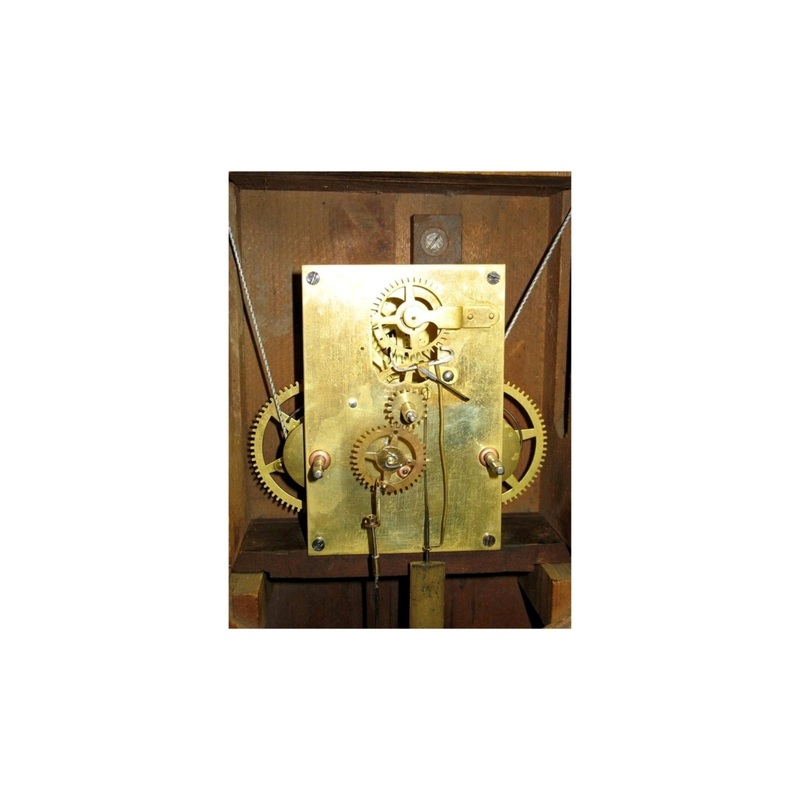 2” model. its back plate, automatically compensates for differences in the length of the months, including the Leap Year. 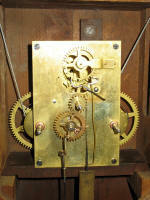 Both movements are original to the case. 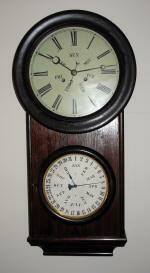 The clock retains its original hands, pendulum rod, weights, and case hardware. 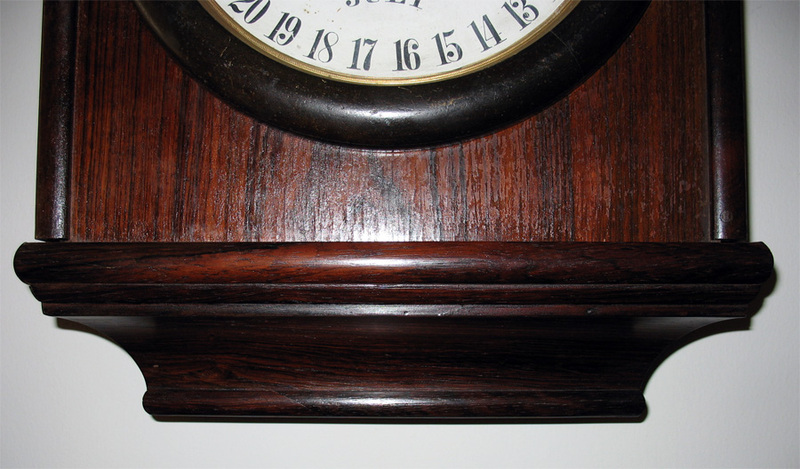 The painted 12” diameter time dial is original to the case and was professionally cleaned and restored. 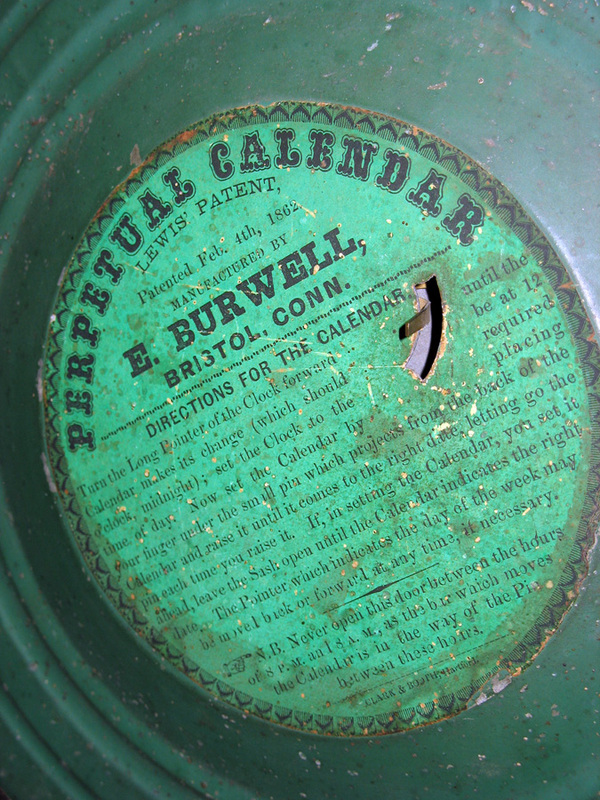 The printed paper calendar dial on its zinc pan is original and untouched. 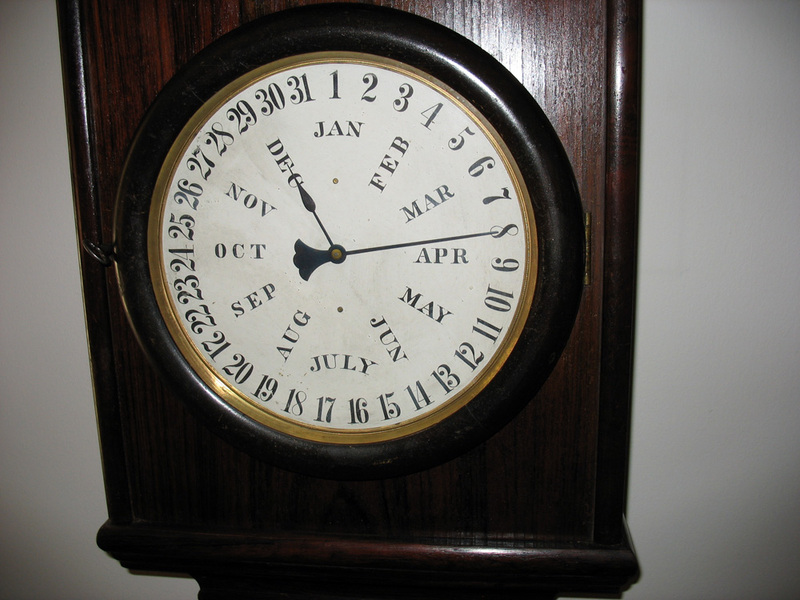 This beautiful clock is in excellent running order.